WE HAVE ANOTHER BATCH OF POSTCARDS FROM QUIL! This time we have letters from Summer Space Camp. I am really passionate about summer camps. I went to one as a child and participated in the "horsemanship" program. Many of my close friends went to traditional and religious summer camps growing up as well. There is something really special about going off to camp, you are away from family and have your first taste of independence. You are meeting new friends and trying lots of new things. You get to make choices on your own, food, friends, activities and discover new things about yourself! We can still have these experiences as adults. Maybe not at overnight camp but through enrichment classes and activities. I encourage anyone reading this to start a new adventure. Sign up for a dance class, a writing class, heck even intermural DODGEBALL! Make a choice that's just for you! Meet new people and discover a new creative or physical outlet. It's always time for a new experience! 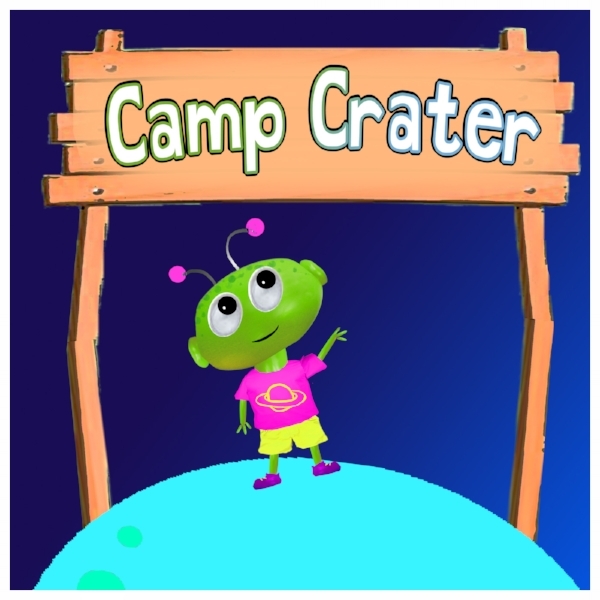 Quil has some incredible experiences at Camp Crater. Our little space friend has taken on new challenges and created lasting bonds with friends. I am so glad we get to learn all about these amazing Camp Crater adventures through Quil's Postcards.